The motor vehicle import laws in the US have always been a bit of a sore spot with enthusiasts. It denies us of otherwise cool cars they’re at least 25 years old. However, it does mean we have something to look forward to every time the calendar flips over. 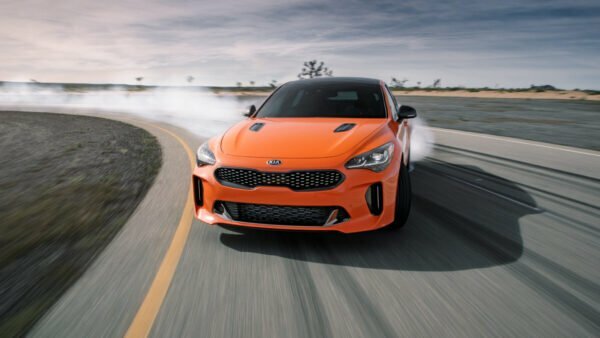 With a new slew of vehicles unlocked, it got us thinking: what vehicles could we see for the first time in the US now that it’s 2019? To meet the criteria, a vehicle’s earliest build date can’t be past 1994. Due to this, it does mean a few vehicles are tantalizing close but still not legal. Cars like the R33-era Nissan Skyline GT-R, Honda Integra Type R and Mitsubishi Lancer Evo III are just a few that won’t make the list ’till next year. 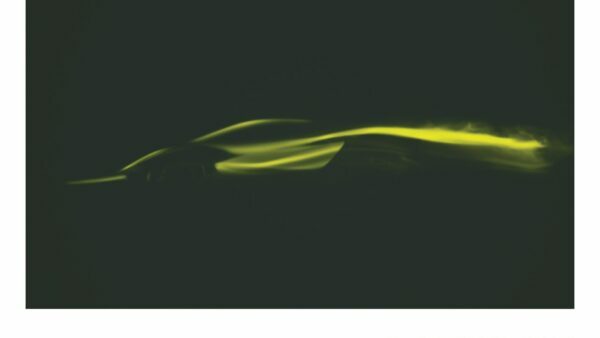 However, there’s still plenty of awesome cars that will unlock as 2019 progresses. Below you’ll see six that we’re keeping our eye on throughout the year. There are not many things better than a hot station wagon. There’s just something intrinsically cool about a fast car that can seat the whole family, the dog, and all the stuff that goes with them. There’s more to the RS2 Avant then unexplained cool, there’s also plenty of tangible things too. For starters, it’s the genesis of the RS-line for Audi. Wanting something with more kick then the standard S-variant, Audi turned to its subsidiary Audi Sport GmbH to create vehicles with an even higher performance level. The RS2 is a bit different than modern day RS Audis though. Instead of relying mainly on in-house technology from Audi, the RS2 was mostly built by Porsche. Starting off life as Audi 80s, the cars were then shipped to Porsche’s Zuffenhausen facility for finishing. There the RS2 got a 2.2-liter 20v inline-five. It also got a beefy KKK turbo to give the RS2 even more punch. Capable of 1.4 bar, it helped the engine turn out 311hp and 302 lb-ft of torque. As a result, 60mph came in just 4.9 seconds and flat out, the RS2 would cruise at 163mph. In addition to the power improvements, there were other bits to help the RS2 along as well. 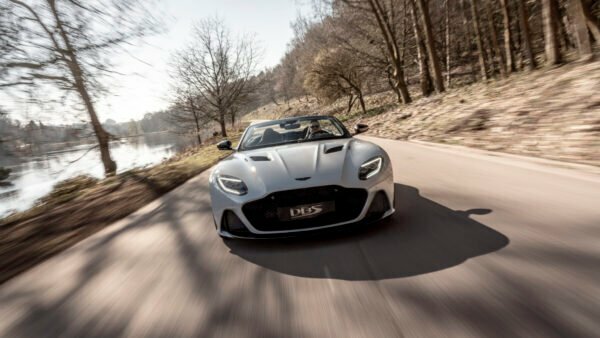 These include things like a six-speed gearbox and a Porsche engineering suspension. Also, both the wheels and brakes came off the Porsche 968 Clubsport to complete the package. 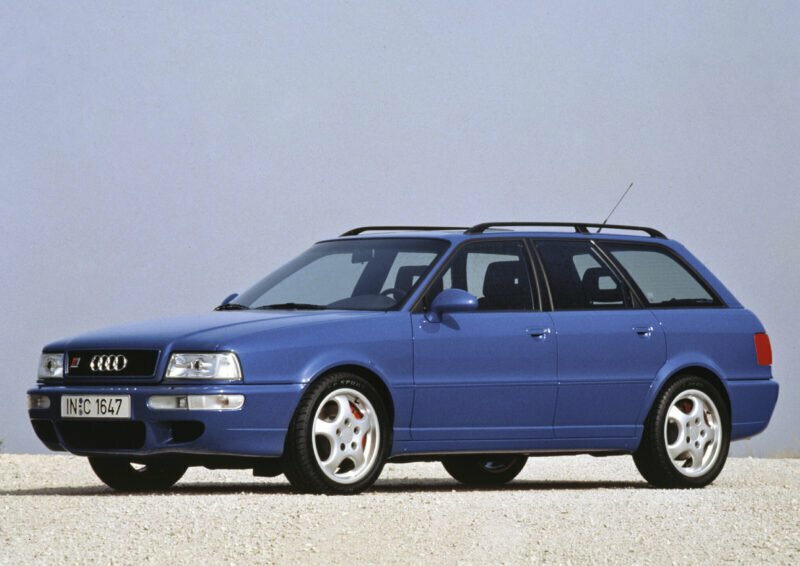 Unfortunately, Audi only made 2,891 examples of the RS2 so tracking one down is difficult. If you do find one though, it won’t come cheap. Depending on the condition you could easily spend upwards of $70,000 for one, plus the import fees to get it stateside. 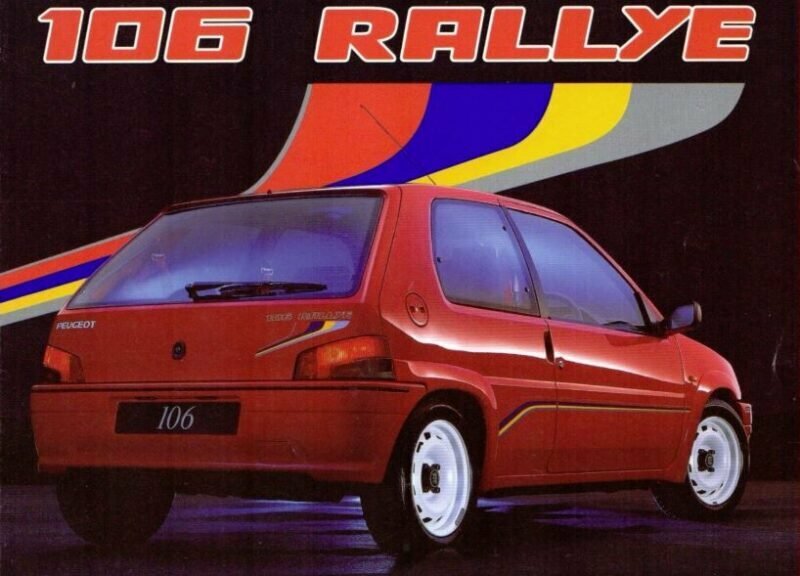 The Peugeot 106 Rallye is significantly cheaper than the previous RS2. But don’t let that fool you, it’s still big on fun and worth importing if you’re a fan of retro hot hatches. 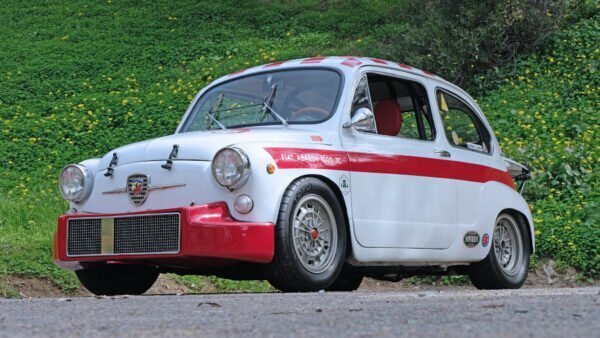 At the 106’s heart sits a modest 1.3-liter four pot. Good for just 100hp and 80lbft of torque, it seems rather down on power. But thanks to an aggressive cam, it happily spins all the way up to a 7,200rpm redline. Despite the low power number, the 106 Rallye is far from slow. Thanks to its featherweight 1,800lb mass, the 106 will hit the 60mph mark in just 9.6 seconds. Flatout, it’ll rev all the way up to 113mph too. On the outside, the 106 Rallye is fairly barebones. Even then, it’s styling is low-key striking as it sits on a set of white steel wheels that give it a purposeful look. As for how much you’ll need to spend to get your hands on one, it really comes down to the condition. You can pick one up in fairly good nick for around $5,000. But if you want a flawless example that price can easily climb to $15,000 or more. If it were us, we’d opt for a cheaper model and enjoy it on the track and backroads. America didn’t get the Subaru WRX STI until 2004 meaning we missed out on the beginning. However, the original is now hitting the 25-year mark making it eligible to finally come to our shores. If you do opt for a Version 1, you’ll end up with something fairly unique in terms of the entire STI lifespan. Unlike models that came after it, the Version 1 STI was more of a tuner car than a high-performance model. 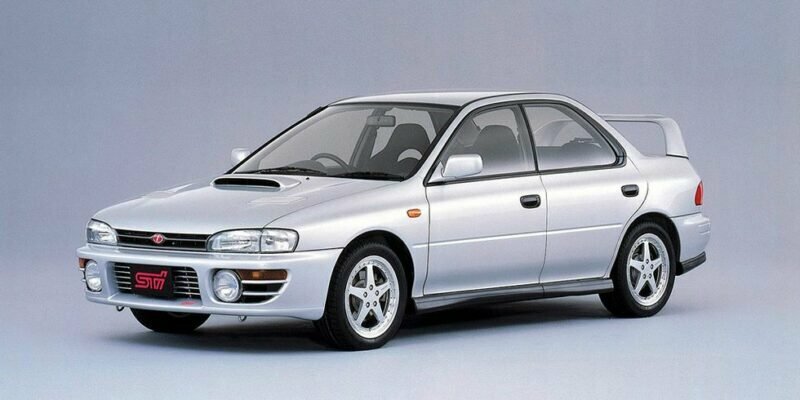 So much so that Subaru Tecnica International simply pulled completed WRX models off the line to create the STI. To STI’s credit though, it did give those WRX models a proper rework. All the cars got things like forged pistons, upgraded intercooler, and a more robust suspension. However, the improvements didn’t make a massive difference. The standard WRX clocked in at 240hp and 224lbft of torque. The STI only raised the power output slightly to 250 ponies and 228lbft. It also only shed about 45lb of weight over the standard car too. Despite the lack of any major difference, like the other cars on this list, this OG WRX STI is still cool. It’s the start to a long line of hot Imprezas and is one of the quintessential Japanese cars of the 1990s. If you want to get your hands on one of these, you’ll need to bring your wallet. These STIs still hold their value incredibly well and the demand for them across the globe will only drive prices up. In our search to find them, we estimate you’ll spend between $15,000 – $20,000 for an original STI depending on condition. We like cars that fall under the homologation rules for various motorsports. Often times they are unusual and pack a serious punch when compared to the standard car. 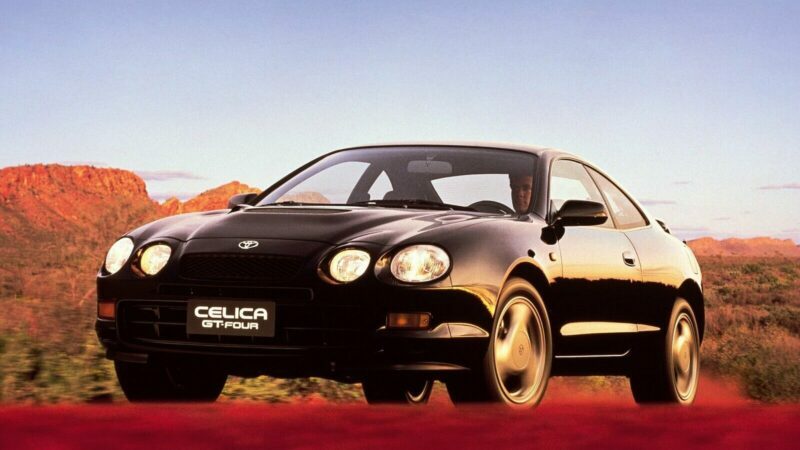 The Toyota Celica GT-Four is no exception to this. Built for Group A homologation, the GT-Four ended up as the ultimate Celica for the model’s production run. With its 2.0-liter 3S-GTE turbo four-pot, it put down a staggering 252hp in the Japanese market (239 hp elsewhere). 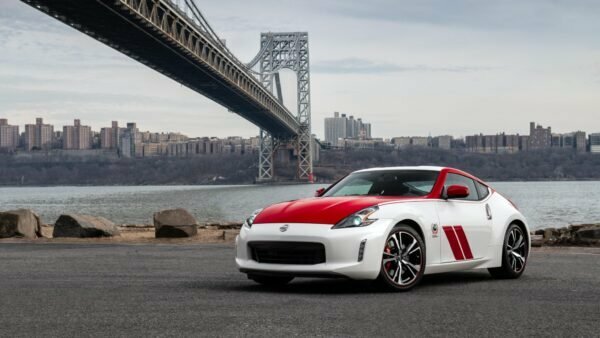 By comparison, the standard Celica managed just 135hp with its largest engine. 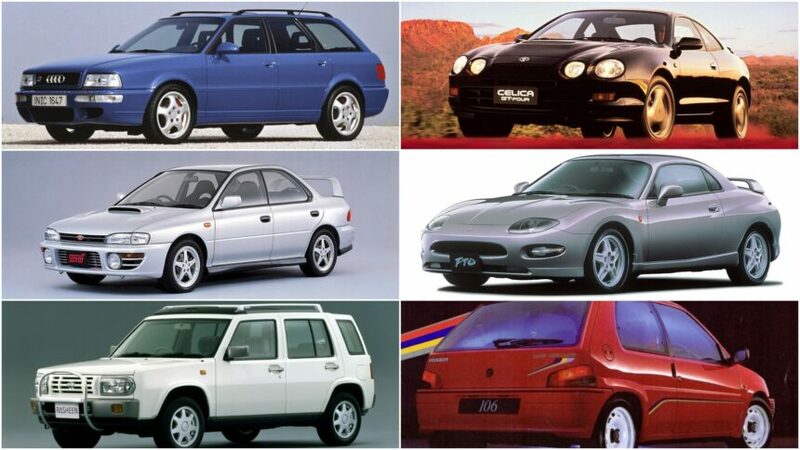 Unfortunately, Toyota’s Group A ambitions were dashed in 1995. Thanks to an illegal turbo restrictor found on the car at the Rally Catalunya, Toyota lost all that year’s points. It also ended up with a one-year ban by the FIA for its stunt. This essentially spelled the end of Toyota’s Celica rally program and cars like the GT-Four. Even with Toyota out of the WRC, it still kept on making the GT-Four through 1999. This makes it a little easier to find one for sale going forward. However, if you really want something special you can track down one of the 2,500 WRC editions. If you do find a WRC homologation car, expect to pay a pretty penny. But a standard GT-Four will run you less than $10,000 making it a pretty good value. 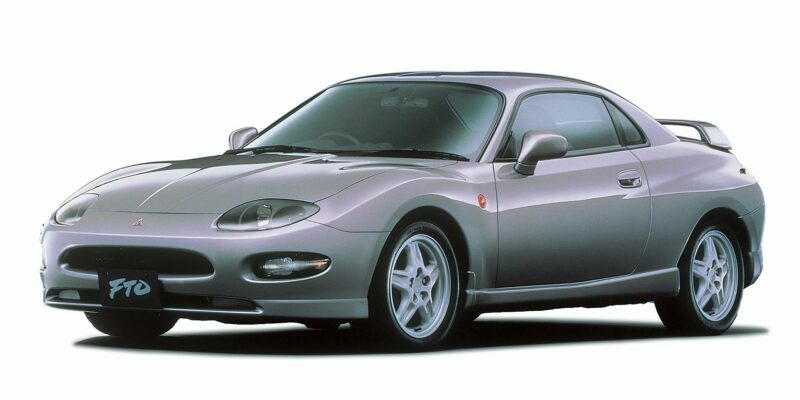 In America, if you couldn’t afford the 3000GT and wanted a sporty Mitsubishi, you bought the Eclipse. Elsewhere in the world, you could pick up a different coupe from the brand, an FTO. Unlike the Eclipse, the FTO did not rely on turbocharging for its power. 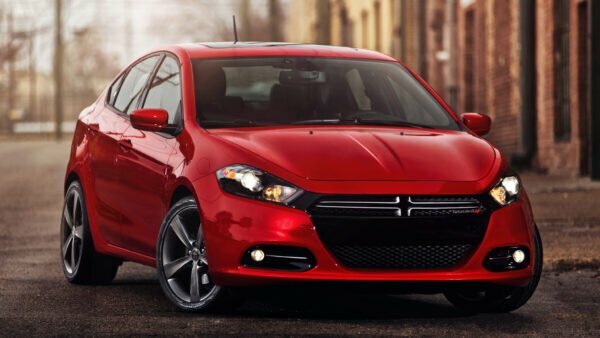 Instead, its base engine, a 1.8-liter four-cylinder, put down just 123hp. However, you could also spec it with a pair of V6 options. The lower end of the V6 powerplants was a 2.0-liter that turned out 168hp at 7,000rpm. For some variations of the FTO, you could also get it with a 2.0-liter equipped with MIVEC. This boosted the power to 197 ponies and bumped the revs up to 7,500. The FTO also made use of a unique automatic gearbox too. 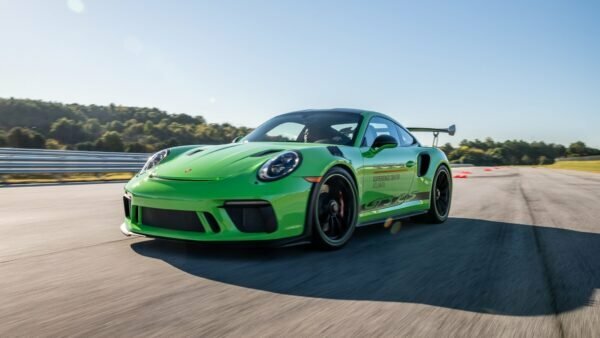 It used a semi-automatic unit similar to the Porsche Tiptronic transmission. This allowed the driver to either shift the car manually or hand it over to the computer to let it do the job. Since the FTO is not exactly rare and there are still plenty of examples around, finding one is relatively easy. The price for a V6 car will come in under $7,500 and even lower for the unloved four-pot car. The other five cars on this list are probably ones you’re aware of. 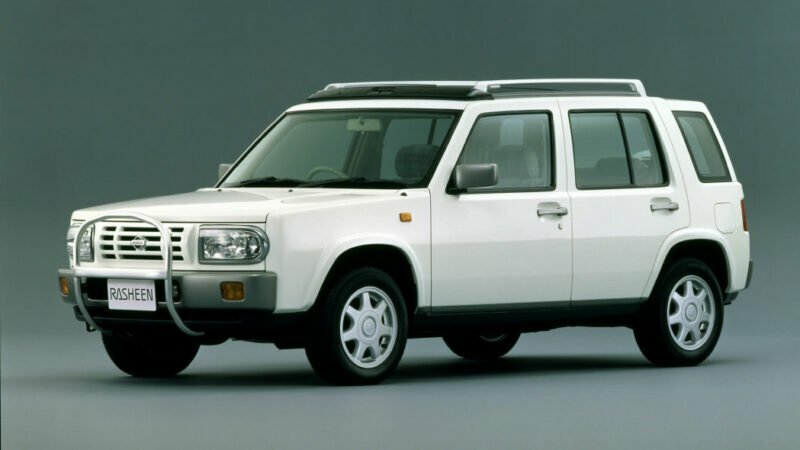 So for our sixth and final vehicle, we’re looking at something a little more off the wall, a Nissan Rasheen. Looking at it, it’s kind of hard to pinpoint exactly what it is. The Rasheen is kind of an SUV, but also is kind of a crossover or even a station wagon. However you classify it, it’s still pretty bizarre. The Rasheen is based on the B14 platform, which means it shares components with the US-spec Nissan Altima. It also uses a few different engines, including a 143hp SR20DE in the Forza version. As for off-road ability, it does use an ATTESA all-wheel drive system. 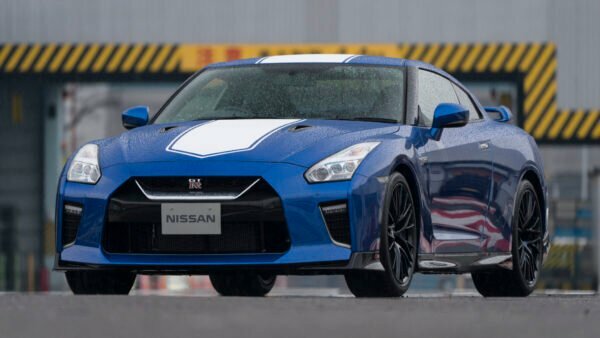 This is loosely related to the system found on the Nissan GT-R, even today. This makes the system more suited to wet or gravel roads instead of rock crawling through the mountains. Due to its quirky nature, the Rasheen is a good candidate for import. You can fit the entire family in it and it’s sure to draw some attention. It’s also relatively cheap too with several listed online for under $3,000.